More than half of digital advertising dollars are now going to Facebook and Google, according to a recent report from Statista. Since most magazine publishers are competing for these dollars and losing the battle, the need for revenue from subscriptions increases every day. Metered paywalls are the first major step for magazine publishers, but it requires more magazines jumping on board to be the most effective. When the general population stops expecting premium content to be free just because it’s online, people will begin to pay more. Ten years ago, nobody believed people would pay for music online. Music ripping services were abundant, and dorm rooms everywhere were using all the bandwidth available to download music for free to burn to CDs. When iTunes came on the scene, the ease of use, and the organization of paid-for music got the general population off of piracy, and into paying for music. Then Spotify revolutionized subscription-based access to music, and the general population became happy with paying for music they would never own. The time is certainly now to take advantage of this shift in mindset, but the message is clear: people are happy to pay money for premium content on a subscription basis, but they want it all. That’s why some of the most effective ways of selling subscriptions now includes curation and bundling. By creating all-access packages that include print, digital, and online archive access. By creating super clubs, which include print, digital, online archive access, plus other bonuses like video libraries, event discounts, and more personalized services. By creating special collections within their online archives, that curate content for subscribers regularly on their most popular topics. For customers who want to access all premium content, but still like delivery of print, All-Access Subscriptions please the consumer and the publisher. For the publisher’s we work for, when priced correctly, the All-Access Subscription is their best-seller. Using the concepts of overwhelming value and contrast pricing, an All-Access option encourages subscribers to choose the highest priced option you offer, which is also the best value for the consumer. To make the offer work, you must have two or more subsidiary offers that each have a clear value proposition. 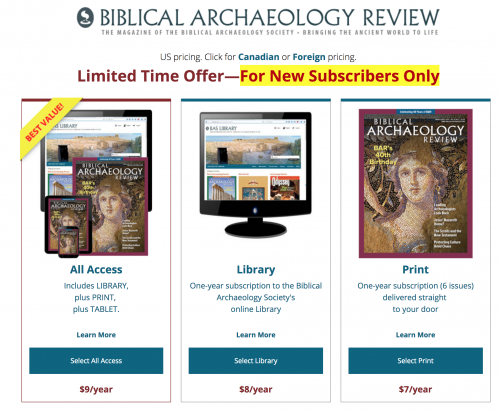 In the case of the Biblical Archaeology Society, they currently have two subsidiary offers which allow the consumer to choose a print subscription for $7 per year or library membership for $8 per year. The library membership offers overwhelming value in its own right as it includes access to more than 42 years of content including more than 30 special collections curated by the library managers. But for $1 more, they can get an All-Access Subscription for $9 per year and receive all the above. This type of offer consistently results in 65 to 70% of new orders coming in at the highest price with each of the subsidiary offers drawing 5 to 15% led by the digital library subscription. 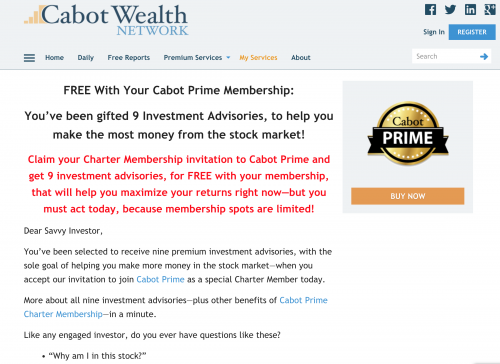 Our client Cabot Wealth Network appeals to investors of all kinds. Most investors know that in order to make money in the market, you need to diversify your portfolio. So someone who subscribes to their Cabot Growth Investor may also be interested in Cabot Dividend Investor, and surely they’re interested in their Cabot Stock of the Week. So for this type of investor, which is so many of them, they offer Cabot Prime, an all-for-one priced product which includes nine of their premium advisories. Each usually sells for anywhere from $297 to $997 each per year, but Cabot sells Cabot Prime for $197 per month. And to promote it, they tell their subscribers that they get all of the advisories for “free.” They also receive a load of extras like special access to an exclusive annual Wealth Summit, a dedicated investor relations representative, and access to their editorial team to ask for recommendations. Special interest articles are often quite evergreen and even those that show their age are often of interest as they reflect tastes and styles from an earlier time. A savvy curator may choose to focus on creating special collections around themes, and also take advantage of the depth of their library content to create collections that focus on coverage that is no longer part of the current magazine. 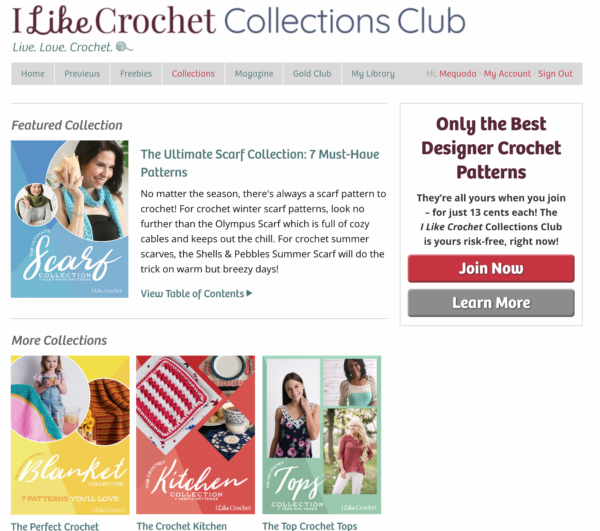 I Like Crochet is a spectacular example of a publisher creating special collections. Under a tab called “Collections” on their magazine website, subscribers can find more twelve, and the list continues to grow. For example, if you are looking for baby blanket patterns, it might be overwhelming to search through their large library of patterns, so the editors picked 7 of the patterns they deem the “best” in their collection called The Best Baby Crochet Patterns Collection: 7 Little Designs. Learn more about creating special collections here. If you’d like to explore how we could double or triple your online magazine, newsletter and membership sales, please schedule a free consultation with a member of our executive team. Tagged with ad, advertising, content, contrast pricing, digital advertising, Facebook, magazine, magazine publishers, magazine website, magazines, newsletter, online magazine, premium content, publishers, selling subscriptions, subscriptions, tablet, text ad, video.